Palmerbet Sports Team’s Premier League Preview has EPL Tips for every match of Week 25, headlined by Manchester City’s blockbuster against Arsenal. Final Thoughts: Brighton flubbed a great opportunity to distance themselves from the bottom-three, crashing 4-2 at Fulham midweek after leading 2-0 just 17 minutes in. It was a disappointing defensive effort in the wake of far grittier losses to heavyweights Liverpool and Man United. Likewise, Watford will be ruing a 2-1 loss to Spurs at Wembley after leading 1-0 with the 80th minute approaching. It was just their second loss in nine games but it saw them drop two spots to ninth in a congested midtable. Brighton have won just one of their last eight against Watford – a 1-0 home victory last season. Watford prevailed 2-0 at home earlier this season. This is a tough one to get a read on following the midweek results, with the draw and the over shaping as the most astute options. Final Thoughts: There’s been plenty to like about the way Burnley and Southampton have turned their seasons around. Both were seemingly headed for the drop but both now sit four points clear of the bottom-three. Burnley are unbeaten in the last five, including a somewhat unlucky 2-2 draw against Man United at Old Trafford midweek. Southampton boast four wins and two draws from their last eight games; they had to find a goal late to draw 1-1 at home to Palace midweek. Burnley are unbeaten in their last four against Southampton, though the last two were drawn. The rivals played out a scoreless stalemate in Week 1. If there’s a game this weekend that screams hard-fought stalemate, this is it. Final Thoughts: Chelsea are reeling from an unbelievable 4-0 loss away to Bournemouth, leaking four second-half goals. It came on the back of a 2-0 defeat to Arsenal, who have now leapfrogged them into fourth spot. Huddersfield are last with just two wins and five draws from 24 games. They have scored just one goal in their past five games and went down 1-0 to Everton midweek. Huddersfield’s last win over Chelsea was during the 1999 League Cup. Town managed a 1-1 draw at Stamford Bridge last season but went down 3-0 to Chelsea at home earlier this season. Value is hard to come by with Chelsea $1.18 favourites, but a win to nil for the hosts looks fairly safe. Huddersfield have scored just 13 goals this season, and after their humiliating result a few days ago Chelsea’s number one priority will be defence. Final Thoughts: Crystal Palace snapped a two-game losing run by earning a 1-1 draw at Southampton midweek. They are precariously placed in 15th, just four points clear of the bottom-three. Fulham may be battling away in second-last but they pulled off one of their best results of the season midweek. Coming off a three-match losing streak, the Cottagers chalked up their fourth win of the year by overturning a 2-0 halftime deficit to beat Brighton 4-2. It was just the fifth time they have scored more than one goal in a match. Fulham have won five and drawn one of their last eight against Palace, but Palace scored a 2-0 away win in the Cottagers’ first game back in the EPL earlier this season. Fulham have managed just two draws from 12 away games this season, while Palace’s best effort in their last three at home was a scoreless draw with lowly Cardiff. We’re leaning towards the visiting underdogs’ momentum being the decisive factor. Final Thoughts: Everton are lacking consistency but they have won two of their last three, downing Bournemouth and Huddersfield either side of a loss at Southampton. Wolverhampton averaged one goal a game for the opening 22 weeks but have turned on the attacking afterburners with high-scoring back-to-back wins over Leicester (4-3) and West Ham (3-0), jumping to outright seventh in the process. Five of the teams’ last seven encounters have finished in a draw, including a 2-2 result in Wolves’ EPL return at the start of the season. On current form we’re finding it hard to resist the value in Wolves, whose only loss in their past four games on the road was to Man City. Final Thoughts: Cardiff City are deep in the relegation battle in 18th spot, losing ground thanks to a four-match winless streak. Their stoppage-time goal in a 2-1 loss to Arsenal midweek was just their second in six outings. But it was a gutsy performance with the tragic disappearance of recruit Emiliano Sala shrouding the club. Tenth-placed Bournemouth have emerged from a tough couple of months results-wise with a pair of impressive wins: A 2-0 defeat of West Ham and a phenomenal 4-0 drubbing of Chelsea after a scoreless first half. Bournemouth are unbeaten in their last four against Cardiff, including a 2-0 home win at the start of this season. But Bournemouth are on a six-match losing streak on the road; the emotion around Sala ahead of Cardiff’s first home game since his disappearance should keep this one close. Final Thoughts: Leicester City are looking to bust out of a three-match winless run, but they will be encouraged by a 1-1 draw with ladder-leading Liverpool midweek. Manchester United’s six-match winning streak since Ole Gunnar Solksjaer took the reins ended with a 2-2 draw against Burnley. But it was a point salvaged miraculously via two goals from the 87th minute. Leicester boast just one win in their last 21 encounters with Man United and have mustered just one point from the teams’ last five EPL clashes. United prevailed 2-1 at home earlier this season. Given the Foxes have lost their last two at home, United are very cautiously priced ahead of this encounter. Final Thoughts: Manchester City are reeling from another shock loss, going down 2-1 at Newcastle midweek. It was the second-placed giants fourth loss in their last nine games – and a big blow to their hopes of running down Liverpool. Arsenal have been similarly patchy over the past couple of months, but moved into fourth with back-to-back wins over Chelsea (2-0) and Arsenal (2-1). Man City have won their last four against Arsenal by a combined 11-1. The Citizens kicked off their title defence with a 2-0 away win over the Gunners at the start of this season. But the gap between the big guns, on current form, is much closer. Arsenal are massive $9 outsiders and are worth a look with the start. Final Thoughts: West Ham picked up six wins and a draw in nine games from the start of December, culminating in an upset of Arsenal in Week 22. 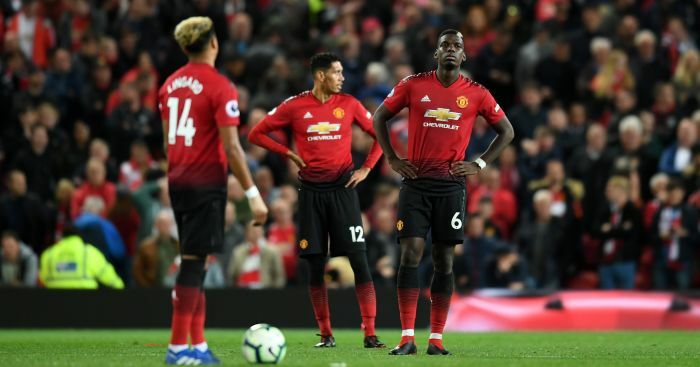 But they are coming off bitterly disappointing, goal-less losses to Bournemouth (2-0) and Wolves (3-0). Liverpool went into their midweek clash having won 11 of their last 12, but were held to a 1-1 draw at Anfield by Leicester. Sadio Mane goaled for the second straight week. Getting the three points and consolidating their spot atop the Premier League ladder will be high on the agenda this week. Liverpool have won their last four against West Ham (which came on the back of a five-match winless streak in the rivalry for the Reds) by a combined 16-2. Sadio Mane scored a brace in a 4-0 drubbing in Week 1. Hammers have picked up a couple of big scalps this season but inflicting Liverpool’s second defeat of this campaign appears highly unlikely.